Hello, hello I am Manning. 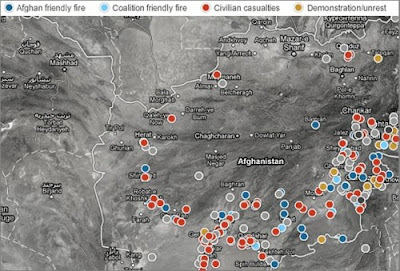 I have a huge collection of material on American Army’s torture in Iraq and Afghanistan. Such torture which will frighten even the terrorists. I think these facts should be brought in the eyes of world and American public should also know that how their rulers are involved in mass murders and destructions outside America. All of these people involved in these war crimes should be brought to the justice; you understand what I am trying to say”? “How did you get documents of such sensitive nature and from where did you get them? Moreover how can I trust you that these documents are verified and truthful?” the other person present on the internet questioned. “I am ‘Military Intelligent Analyst’ in American army posted in Baghdad in ‘Forward Operating Base Hammer’. I belong to ‘Second Brigade’s, 10th Mountain Division’. I was posted here in 2007, I have a huge collection of secret documents of American Military and Foreign Ministry. Through these documents one can imagine the real purposes behind Iraq, Afghanistan war. 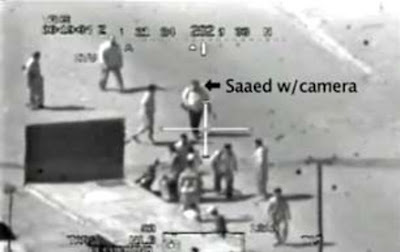 I have supplied the Australian Computer Programmer and Journalist Julian Assange with a video out of these documents which shows that an Apache Helicopter fired a missile on the unarmed men in Iraq. Julian published this video with the name of ‘Collateral Murder’ ”. 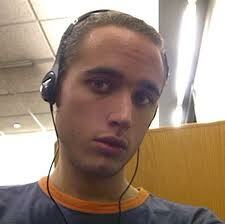 This chat was between American Soldier Bradley Manning and a Hacker Adrian Lamo on the internet messenger. American officials were worried that a movie made by a camera fixed on helicopter how it had been leaked out. Americans did not get out of this shock that another movie named “Collateral Murder-2” also got published on internet. This movie is about Americans attack on a marriage ceremony in afghan village in which more than 100 men, women and children became target pf American barbarism and lust for human genocide. However in Afghanistan Mr. Karzai, American and allies have succeeded in befooling world through international media that these people were militants who have gathered in such a huge number for planning attacks against allied forces. But videos made by cameras fixed in their own helicopters not only disclosed American lies but also raised a question on role of American forces in Afghanistan. At least America has to declare in order to avoid criticism on the international level, that it had published such video so that an inquiry can be launched and criminals involved in this incident could be punished. “Hillary Clinton and several thousand diplomats around the world are going to have heart attack when they awake up one morning and find an entire repository of classified foreign policy in available in searchable format, to the public”. But during whole this Manning was unaware that Adrian Lamo is one of those hackers who have been hired CIA in order to reach to the persons behind the leakage of secret documents. Lamo at once told the whole situation to CIA officials. 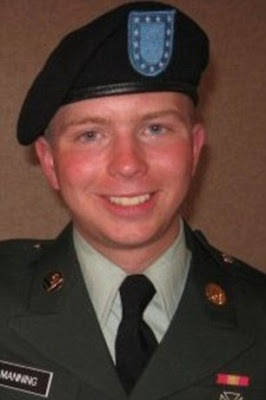 In this way on 24th May 2010, Manning was arrested but official he was arrested and moved in American jail in Kuwait on for investigations. Americans were unable to imagine that after Top Secret/Sci Cleamance their own soldier deployed for protection of extremely sensitive documents will become a traitor. During investigation Manning disclosed that he had succeeded in downloading 260000 documents in one year. American officials have taken Manning’s Laptop and many hard disks in custody and are trying to investigate that how he succeeded in secret documents in such a big amount. Moreover how many documents he has transferred to Australian journalist Julian. According to Julian he has a collection of 90000 documents, out of which he has stopped 15000 extremely important documents and published the rest to different sites. But Americans that Julian has more documents than 15000. These documents one such movie in which a journalists have been recorded to be murdered in the hands American soldiers through torture. According Americans Manning is not the only one involved in this leakage, but such persons might be more in number which have rejected orders of their command and are obeying orders of their conscience. And these persons are involved in leaking sensitive documents to internet media. Their idea is not wrong. America wanted to arrest Julian Assange through any means, and was waiting that he visits to New York in an arranged function. But Daily Beast a website warned him about the American plan along with documented proofs that as soon as he will arrive in New York American secret agencies will kidnap him so he should postpone his journey. Julian was in London when that news got leaked through internet. Julian left his program in London uncompleted without canceling his ticket to New York and returned back to Australia, and American officials just have to regret. The number of published documents is reported to be 75000. Americans are doing their best that rest of the documents can be stopped from being published to the website. American secret agencies are trying their best to know that Julian has links to which websites spread over the world numbering in millions and what password is used for their mutual communication. However their experts have been unsuccessful in this investigation. 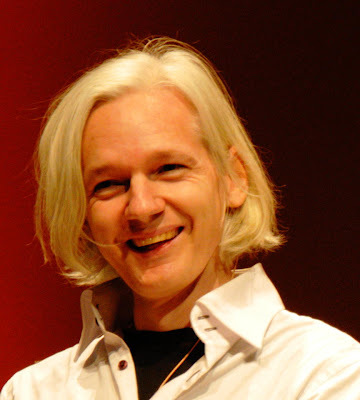 While Julian has asked internet users to use his website without any fear and help him to bring the truth forward. He has appealed to human rights organizations that they should take these war crimes of American and allied forces to courts. But here an important question arises that out of these 75000 documents only 180 are reports about Pakistan i.e. 0.24%. but why Americans have put the whole blame to Pak-army and ISI. This is also astonishing fact that all documents about Pakistan consist of hypothesis, newspaper analyses, and imaginations and their importance is not more than the accuses that have been laid on Pakistan army and ISI continuously by American and British media. That they (Pak-Army and ISI) are not only supporting Taliban and Al-Qaeda but training and providing them with weapons. Upon these hypotheses of WikiLeaks David Cameron blamed Pakistan for supporting terrorism in a press conference in India. During this Afghan President Karzai tried to convince Allied forces that they should enter in Pakistan territory for crushing camps of terrorists. Before this American senators also have been doing such propaganda. Then a propaganda attack against Pakistan Army and ISI from three sides is coincident? “The White House released a series of remarks made in the past by top officials expressing their concern about links between Pakistan spy services and militants in Afghanistan”. After disclosures made by WikiLeaks if we collect the analyses, articles written in American, British and Indian newspapers they amount in thousands (it is still going on). Why? Just for that Pak-Army and General Kiyani is not ready to accept aggressive role of India after successful operation in North Waziristan and withdrawal of defeated Allied forces from Afghanistan? In the end mentioning of General (Rtd) Hameed Gul is must who is being blamed in the name of WikiLeaks. We will talk on analyses him in some other topic, but if we only look at the details given in WikiLeaks it seems as he is guiding the resistive forces in Afghanistan. Probably the purpose of this propaganda is to defame Pakistan. However if American and allies believe that a Lt. General retired two decades before is capable of giving hard time to 175000 allied forces in such age through his strategies, can force them to withdraw from the war zone, then not only Hamid Karzai but Indian rulers should drown due to shame that they are relying on the force of a country who has to lick the dust in the hands of an old General.